Made in premium semi-sheer fabric and fully lined in soft stretch jersey, this style is designed to drape effortlessly over your curves. 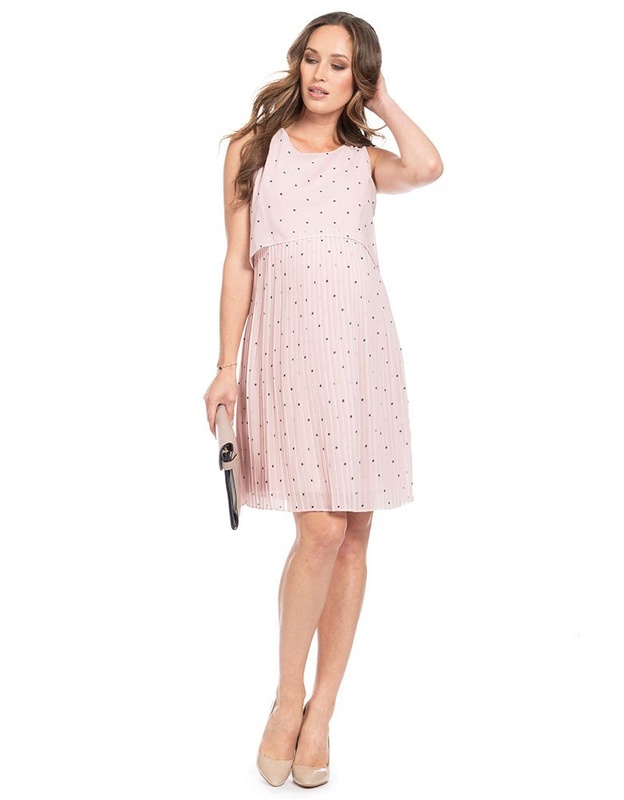 The chic pleated skirt adds texture and movement to the style, while the bodice lifts up to reveal easy access for nursing after baby is born. 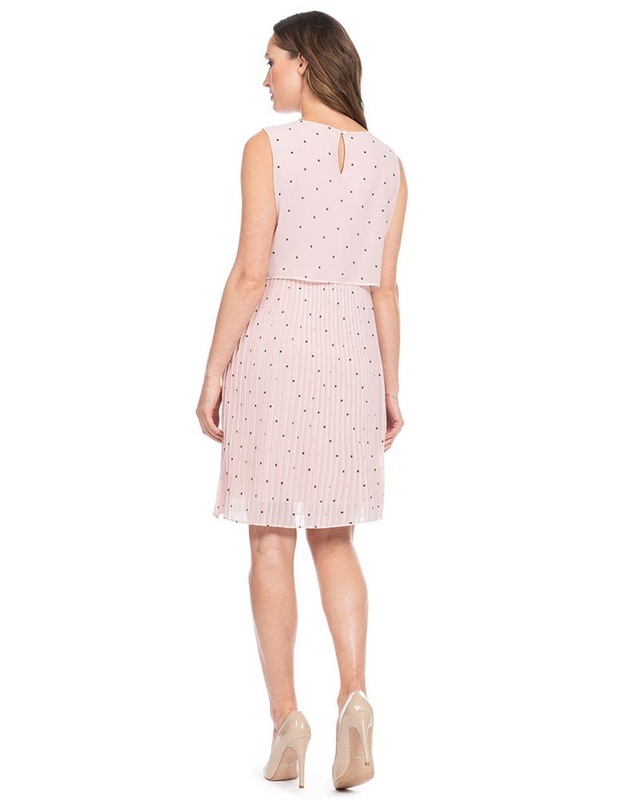 Ideal for summer weddings, baby showers & special occasions, this beautiful blush pink polka dot maternity dress is guaranteed to hit the right notes this season.